Over the last decade, economic growth in Australia has been generally strong, but one industry that’s feeling distinctly left out is banking. While both consumers and businesses have a constant need for financial services, they’re increasingly turning to alternative sources to meet those needs. This has led to significant trouble for some of the country’s banks both large and small. With peer to peer lending becoming both viable and popular for consumer and commercial financing, banks face surprisingly stiff competition from a brand new direction. 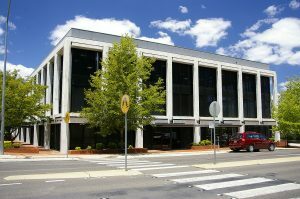 This bank headquartered in South Australia is a publicly-listed company that focuses on both small and large-scale financial services. It has its own extensive distribution network, but it also partners with other national players to extend its range of services. AMP is one of Australia’s leading firms in the area of wealth management. The company controls assets worth more than AUD 84 billion. 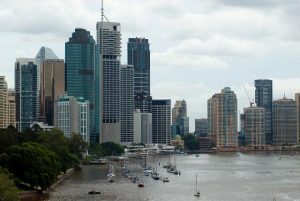 This international partnership holds a significant position in the financial worlds of both Australia and New Zealand. It’s large enough to carry international weight, too, recently ranking as one of the world’s top 50 banks. ANZ was originally founded in Melbourne in the 1830s; the company is still based there. BOQ is Queensland’s second largest financial institution. On the national scale, it ranks as one of Australia’s five largest banks. The recently-rebranded Bank of South Australia is a major regional player in its area. Currently controlled by St. George Bank, BankSA provides financial services primarily at the consumer level, specializing in residential, rural, and personal finance. The Commonwealth Bank of Australia is a nationwide company that’s aiming to expand its range of services in the future. Complete accessibility to customers all over Australia is a major goal. Primarily focused on investment banking, the Macquarie Bank also engages in commercial banking and, in certain portions of the country, retail financial services. 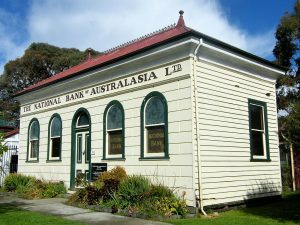 The financial services division of the National Australia Bank is a particularly well-liked organization that offers complete services in both Australia itself and in 15 foreign nations. This institution functions as Australia’s central bank. Its goals are to keep the country’s financial system stable and efficient, and it takes responsibility for the country’s monetary policies. Banks in every sector are facing increased competition when it comes to competitive lending rates and keeping customers happy. More and more people are exploring alternative means of securing capital and credit, including working with non-bank lenders and peer to peer (social) lending networks. Examples from the UK show that the growth of peer to peer lending can have an extremely negative impact on banks. 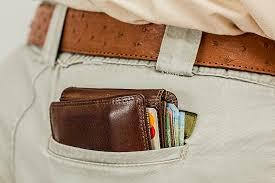 The introduction of the Zopa peer to peer lending platform serves as an instructive example. By allowing borrowers to set their own preferred interest rates, the service allows many users to secure funding for significantly less than they would have to pay to borrow from any bank. One of Australia’s first social lending operations is Lending Hub. (http://www.lendinghub.com.au) This network is broadly similar to major industry leaders like Zopa and Prosper. As with most social lending ventures, Lending Hub is evolving rapidly, but it’s already easy to see that the network is poised to start eroding Australian banks’ traditional share of the lending market. Social lending networks have the advantage of appealing to community-minded customers at a time when banks are struggling to project an air of community focus. The way most banks have been downplaying consumer financing, automating their services, and shutting down branches has made it difficult to paint them as community oriented. Based on recent UK studies, social lending networks have a large advantage over high street banks when it comes to garnering positive reactions from customers. Nearly three-quarters of people look on social lending positively; in contrast, negative opinions of banks are widespread. Almost half of the people studied believe banks fail to live up to their service promises, three-quarters believe they are inherently greedy, and over 65% percent would characterize their motives as self-interested. This significant image problem could not come at a worse time for banking institutions. The rise of social lending communities and the growing popularity of peer to peer lending present them with significant competition for their dwindling customer base just at the time that their customers are desperate for alternatives. Without taking significant steps to serve their current customers better and attract new ones, many of Australia’s banks could be facing serious trouble.